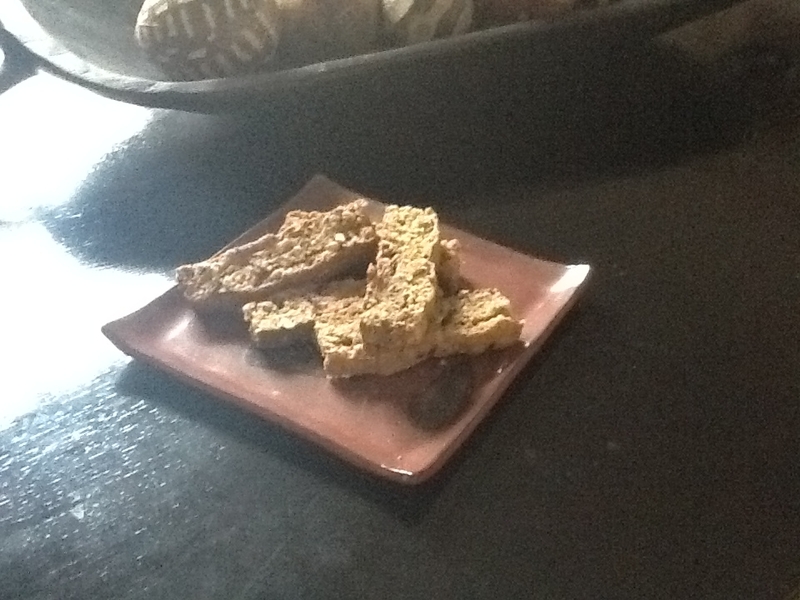 I’ll slowly build up this gallery with pictures of rusks made from recipes on this site. If you’ve made rusks from any of these recipes send me some pictures so others can see what they look like, and tell me what cutting method you used. 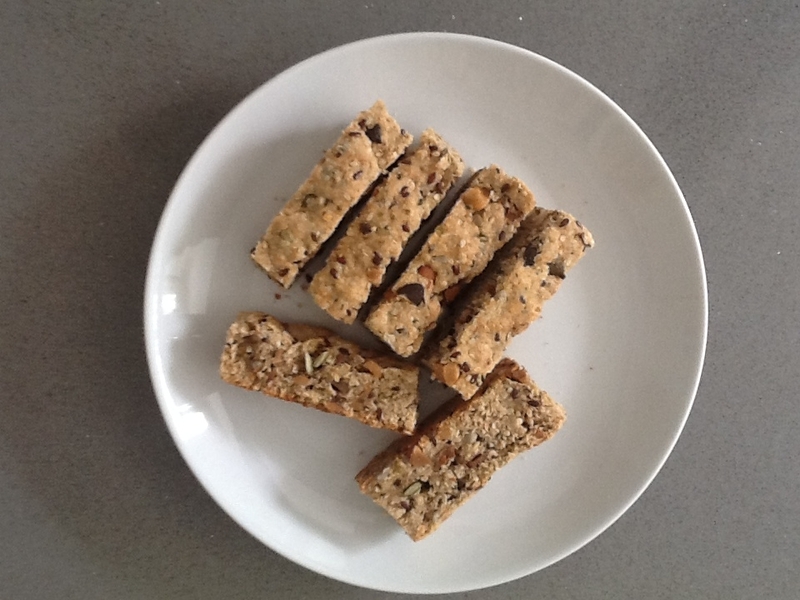 Ginger and toasted sesame rusk. Cut using The “Woolworths” Cut. Cranberry, orange, almond rusk. This is a Finger Cut rusk. Cashew Crazy. This is a Finger Cut rusk. 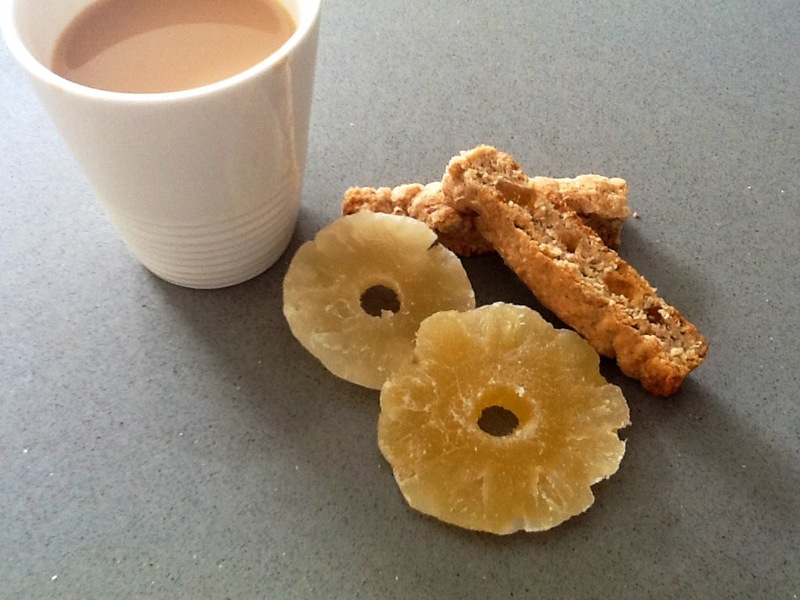 Pineapple & Toasted Coconut, finger cut. This rusk cutter from www.kezia.co.za helps cut even shaped rusks. One reader, Lynn has tried it and says you cut the prebaked dough but suggests that after baking you cut it again with the cutter othewise the rusks don’t break clean. Rusk dough rolled into balls and baked. Thanks to one of our readers! 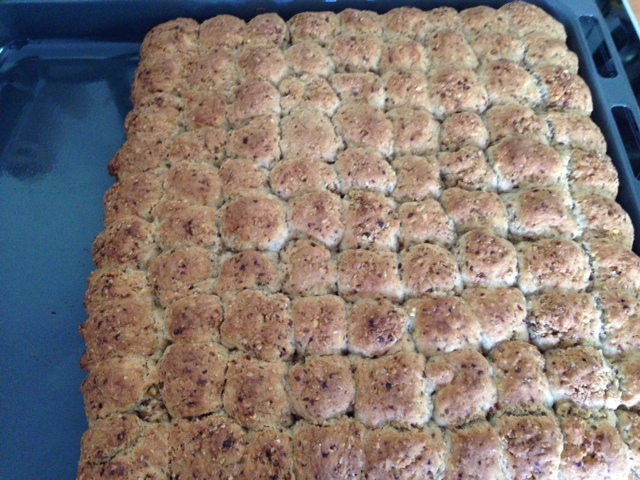 Thanks to Wibke Mendelsohn for sending us this picture of her baked rusks where the dough was rolled into balls and then packed in the pan. See Cutting Rusks (“No cut” method) for how these get separated after baking.